This year’s masters tournament continued in a long tradition of having very strong competition with many hard fought games. 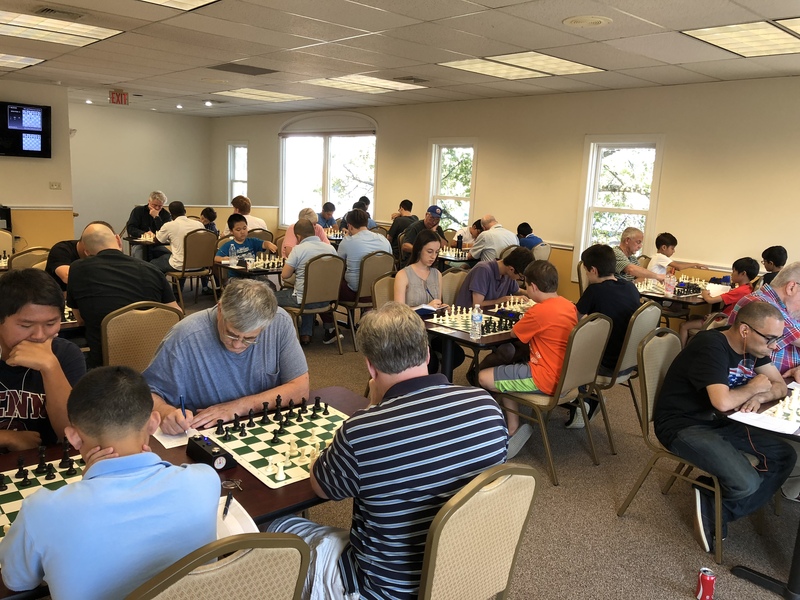 This was despite losing some grandmasters to last second emergencies as well as two regulars who were competing in the World Senior Team Championships! 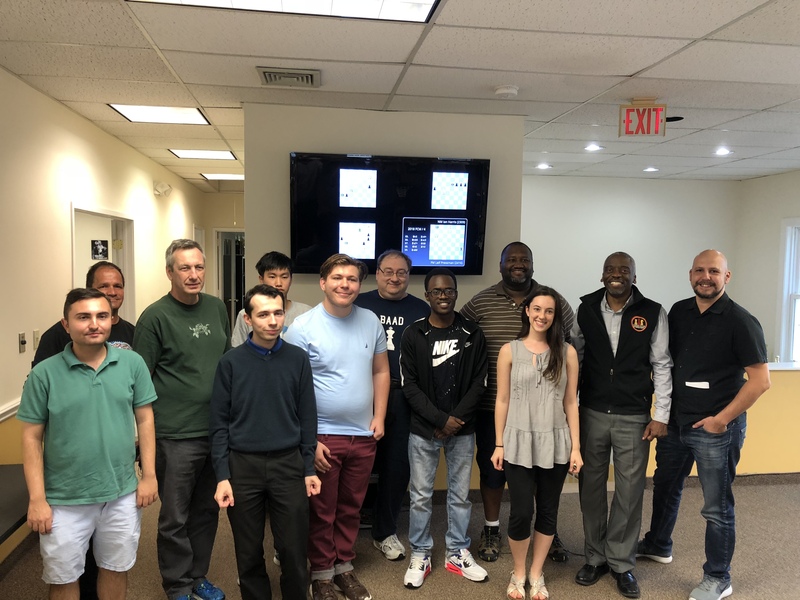 This left the field wide open for the top two seeded grandmasters (GMs Aleksandr Lenderman and Alexander Fishbein) as well as a bevy of strong masters, all of whom are capable of scoring a significant upset on a good day. There would be no upsets for GM Lenderman as he duly won all of his games to take clear first place. 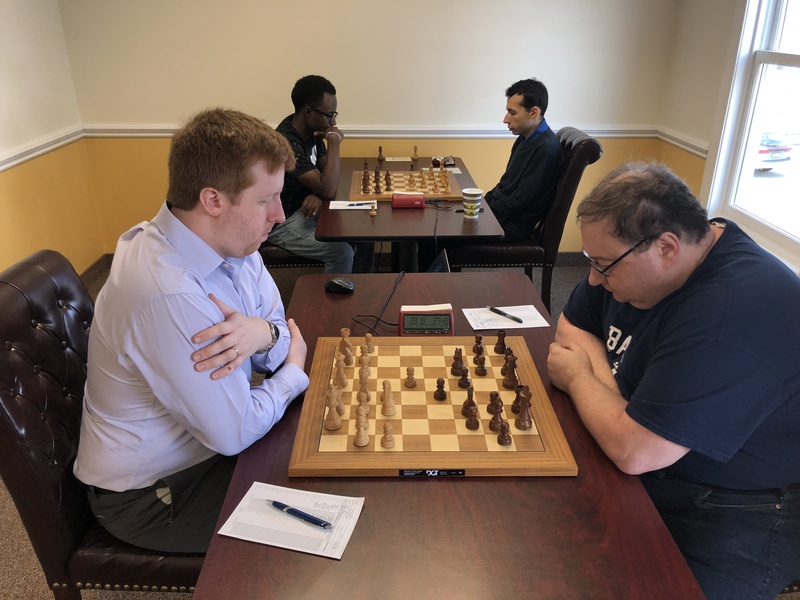 GM Fishbein started with 3/4, with his only loss coming against Lenderman in round 3. As it turned out this would be enough to guaranteed him clear second place as even a final round loss to FM Joshua Colas did not allow any of the competitors to catch up to him. FM Joshua Colas, FM Yoon-Young Kim, FM Leif Pressman and NM Oliver Chernin tied for third place with 2.5/5 each. 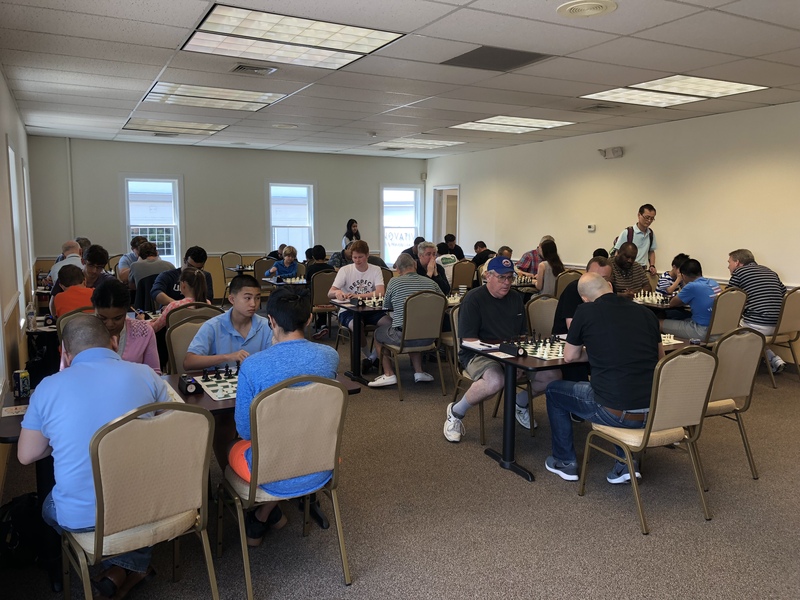 Forty one players competed in the class championships section. The competition was extremely competitive with no one having an easy path and several favorites getting upset early in the tournament. Still, that did not stop pre-tournament favorite Tyrell Harriott from winning all of his games to take clear first. This set a tournament record being the first time that the overall winners of both sections both scored a perfect 5.0/5! There were many other notable results in this section as well. Youngster Xan Meister (1556) won the U1600 prize handily with 3/5 and was only a half point away from winning the U1800 prize! He defeated many higher rated players to gain 120 points! Danielle Sharp won the U1800 prize with 3.5/5. Evan Helman won the top U2000 prize and also tied for 2nd – 3rd with Mauricio Comejo and Andrew Colwell.